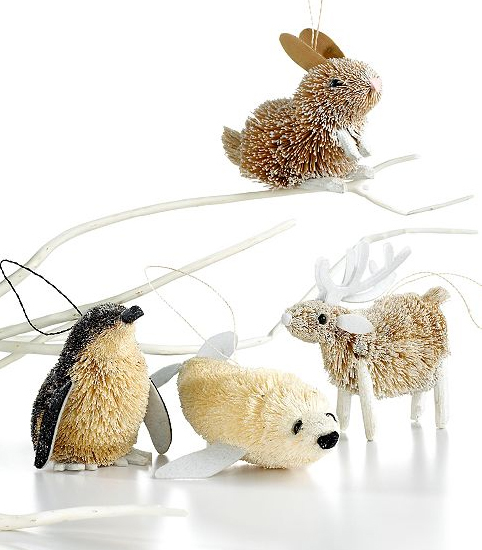 New from the Martha Stewart Collection at Macy's this year are these sets of four animal ornaments. Buri is a fiber made from the Buri palm trees in the Philippines, twisted tightly around a series of wires. The wires are then cut and dyed and finally formed into various shapes. 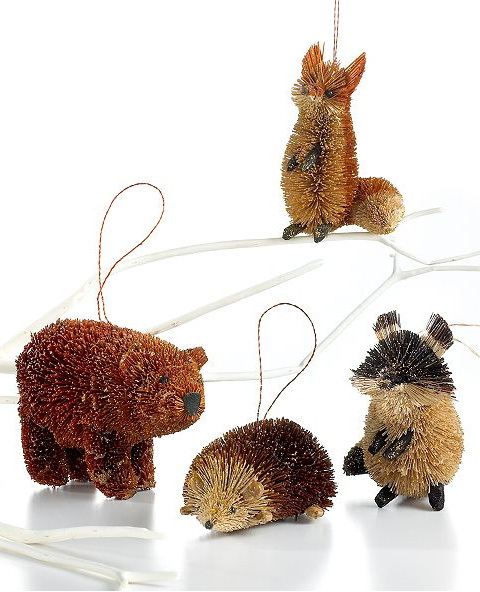 In this case, the shapes are adorable little creatures from various parts of the globe, grouped into collections of four based on geographical location: Africa, the Arctic and the woodlands of North America. 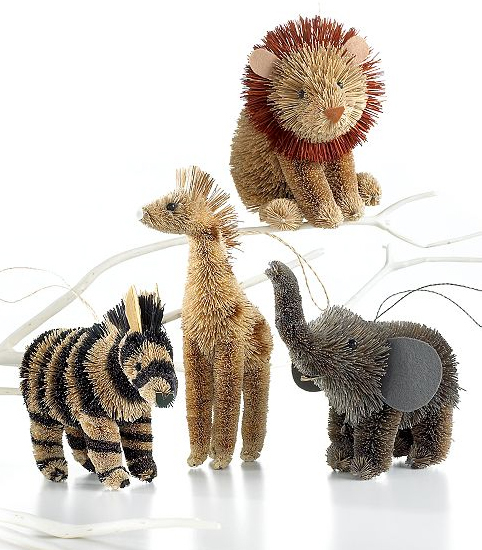 They are $25 for a set of four online and in store there are numerous other animals from the menagerie to choose from. Cute! 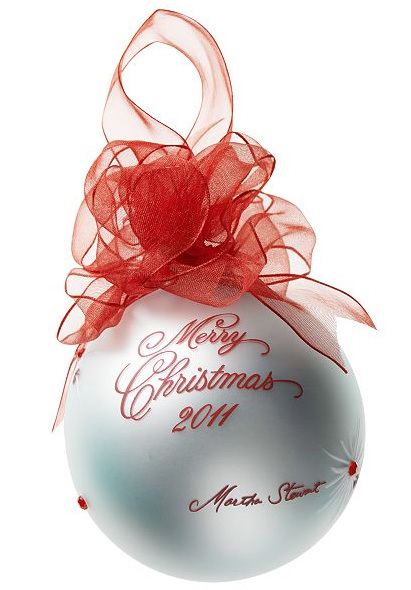 Also be sure to note this 2011 Christmas ornament with Martha's signature. I checked these out today at the Macy's Holiday Lane store. I didn't see the sets of 4, just the individual ornaments plus the tabletop larger size animals. The moose and owl larger sizes were nice but pricey. I purchased the rooster ornament but there had to be at least 15 different animals to pick from in the Buri style! Ah, yes, I should have specified that the sets of four are on the website.